It's easy to remember to take your pills when you're carrying them in this elegant pill box. 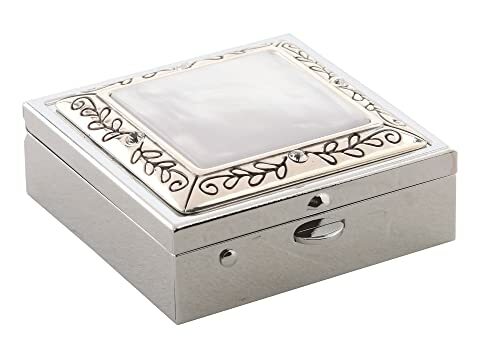 Etched detailing surrounds an opalescent insert. 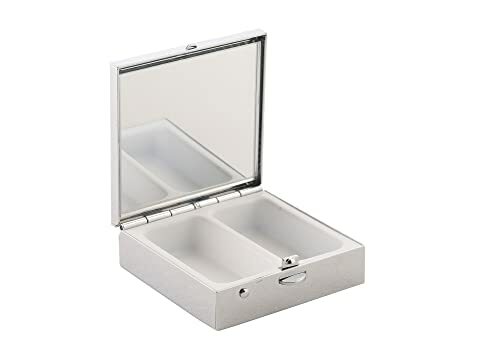 Features an interior mirror and two pill compartments.